WHY MULTI-LANGUAGE SHOPIFY APP IS IMPORTANT? Although English might be the most popular languge in the world, the two most common spoken languages are Chinese and Spanish in order. This is specially important for those who are running e-commerce stores since if they want to access other customers in all over the world, speaking over 6500 different languages, the support for multi-language storefronts is an indispensable feature. The only small advantage of Google translate widget is the quick process of translating just by 1 click. Nevertheless, the widget bases on a word for word translation, which is a reason why the possibility of wrong translation is very high and your website look unprofessional. This built-in language application allows customers to translate the whole page quite well, but the number of translated languages is limited (only from 2 to 4 languages). It’s inflexible if you’re going to reach many other foregin markets. The must-tell outstanding feature is the no limitation in translating. Nonetheless, each time that translated into another language a new corresponding tab opens. As a result, too many versions in different languages of only 1 homepage will overload the menu bar and make customers feel less impressed. 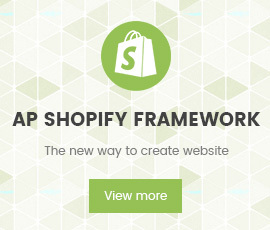 The price of Ap multi-language Shopify app is very competitive. Only 9$/month compared to overpriced apps of others with the same function. To create a new language, you just duplicate theme and all duplicated themes are controlled by a hosted page in a back-end dashboard. There is ONLY ONE front-end homepage.